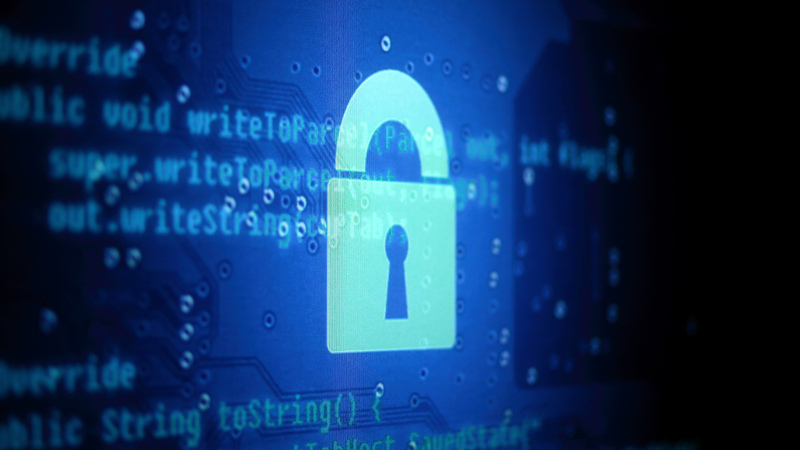 SSL and TLS -- technologies used to encrypt and secure network transmissions -- and Custom Domains hosted on Google App Engine can be a challenge to configure. 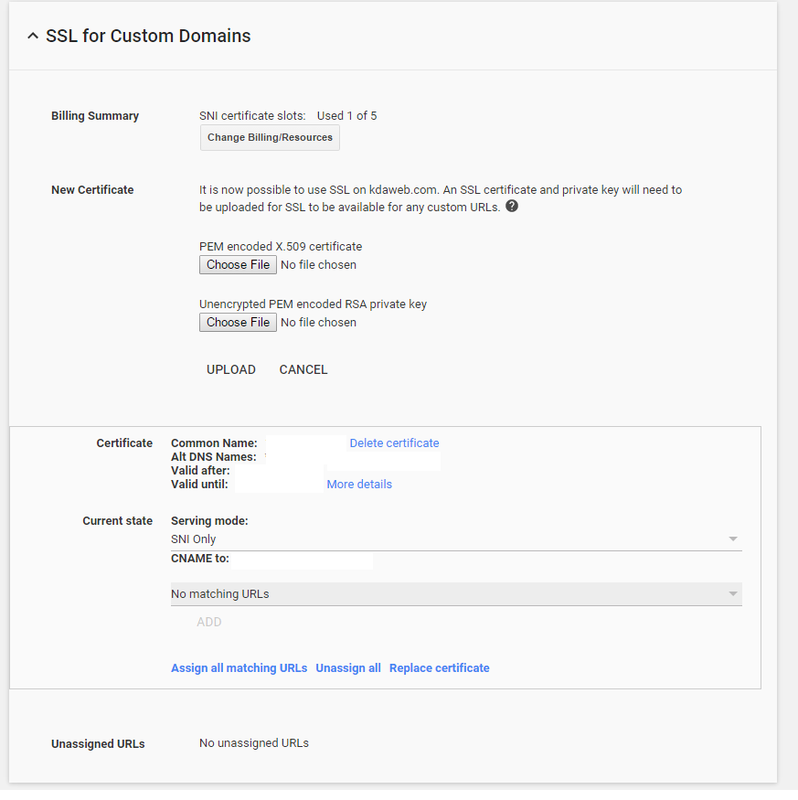 This article describes the nuances and gotchas that can come up during the deployment of SSL certificates on Custom Domains hosted on Google App Engine. Wildcard certificates -- certificates that can be used to secure multiple subdomains -- can greatly simplify the administration of multiple subdomains, websites, web applications, etc. 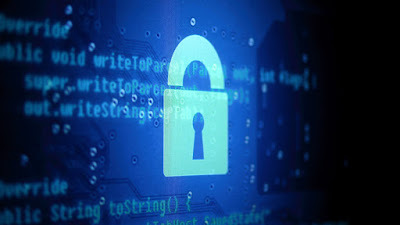 This article also covers the steps required to create keys and certificate signing requests for SSL / TLS (including wildcard certificates) and to use GoDaddy to validate the key and provide a cryptographically signed certificate. openssl req -new -key wildcard.example.com.key -out wildcard.example.com.csr -subj "/C=US/ST=New York/L=Utica/O=KDA Web Technologies/OU=Web Development/CN=*.example.com"
The OpenSSL command will provide an interactive prompt for values not specified in the subject. The CN field is used to specify the Common Name for the CSR. The Common Name is the domain name that the certificate will secure. For example, a CN of test.example.com may be used for connections to the host 'test.example.com.' For wildcard certificates, use a CN of *.domain.tld. Note that the HTTP over TLS specification asserts that the '*' wildcard and apply to one domain name component. That is, *.example.com may be used to secure example.com, www.example.com, and test.example.com; however, it may not be used to secure multiple domain name components. For example, *.example.com may not be used to secure foo.bar.example.com. To secure a second level of subdomain, a second certificate (or one certificate with multiple Subject Alternative Names (SANs)), use a CN of *.*.example.com. Next, have the CSR signed by a recognized domain name registrar. In this case, GoDaddy was used. When the certificate is ready, GoDaddy provides a .zip file containing two files, the certificate plus the intermediate key chain. 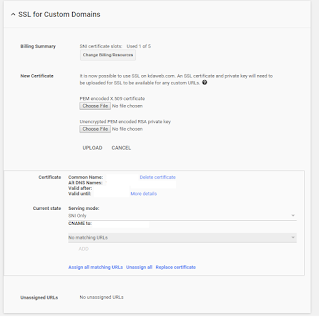 Google Apps (and Google App Engine) requires that the certificate be fully chained; therefore, the certificates from GoDaddy need to be merged into a single certificate. For the "PEM encoded X509 certificate," select the fully chained certificate; for the "Unencrypted PEM encoded RSA private key," select the unencrypted file. Click 'Upload' to upload the files. Finally, change the 'Current state' option from 'Not serving' to the serving state of choice (typically SNI Only), and click the 'Assign all matching URLs' link at the bottom of the menu. At this point, the new SSL / TLS certificate should be serving when agents attempt to load content from the application hosted on Google App Engine. Wes Dean is Principal of KDA Web Technologies, a Google Cloud Platform Development Partner and a Google Apps Authorized Reseller. To learn how Wes and KDA Web Technologies can help you, go to www.kdaweb.com. "System Lock" photo by Yuri Samoilov and used here with Creative Commons license.